From our inception in 2009, Kids’ Club has funded programs that we believe will have the greatest impact on the lives of those we serve. Each year, approximately 1500 children in Tarrytown & Sleepy Hollow benefit from our support. We forge close ties to the community, and work collaboratively to identify critical needs and find solutions. Beginning at birth and continuing through high school and beyond, Kids’ Club helps close the gap in services by providing opportunities for children to succeed. Below is a moving five minute video speaking to the exceptionalism of our community and highlighting a few of the valuable programs Kids’ Club supports: Smart Babies, the RSHM LIFE Center’s Afterschool Program and Let’s Get Ready. Please click on the link to hear from students and parents themselves about how these programs have made a significant impact on their lives and have helped “build a bridge to a brighter future” for them all. Luisanna V., in her freshman year at Fordham University; first generation in her family to attend college. 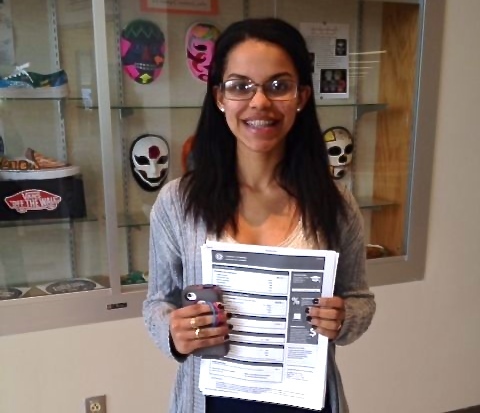 Luisanna participated in the Let’s Get Ready college coaching and SAT tutoring program as a rising senior at Sleepy Hollow High School, which Kids’ Club helped to fund. A Kids’ Club board member served as an adult mentor for Luisanna, throughout her senior year. One of Kids’ Club’s signature funding initiatives, the high school’s Mentoring Program, affords students the opportunity to experience their first paying job and serve as role models for younger students who also benefit from the additional academic support. In their own words, some of the mentors discuss what it meant to them to participate in this program.